Part of having an online presence is this weird isolation from real life, whatever that is. I remember growing up with the Harry Potter fandom, reading fanfiction, and not really being in tune with who was popular in school, or crushes, or friendships. 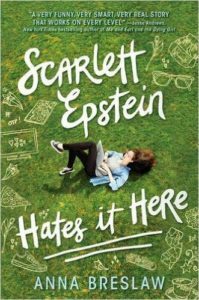 I was kind of in my own bubble hovering maddeningly in a … Continue reading "BR: Scarlett Epstein Hates It Here"